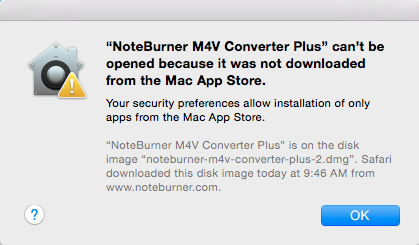 How to Install NoteBurner on Mac Mountain Lion, Mavericks, Yosemite, El Capitan & Sierra? Why does this happen? It is because Mac OS X 10.8, 10.9, 10.10, 10.11 and 10.12 includes some new features to improve security for users. And one of the new default options prevents users from being able to install or launch applications which are not downloaded from Mac App Store, or which have not been digitally signed by the developers. • Under "Allow applications downloaded from", select "Anywhere"
After that, you can launch and run NoteBurner M4V Converter Plus on your Mac OS X 10.8, 10.9, 10.10, 10.11 and 10.12 normally. 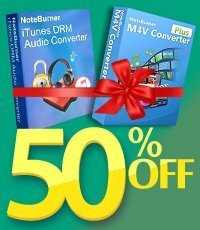 You can launch and run NoteBurner iTunes DRM Audio Converter on your Mac OS X 10.8, 10.9, 10.10, 10.11, 10.12 and 10.13 High Sierra normally. 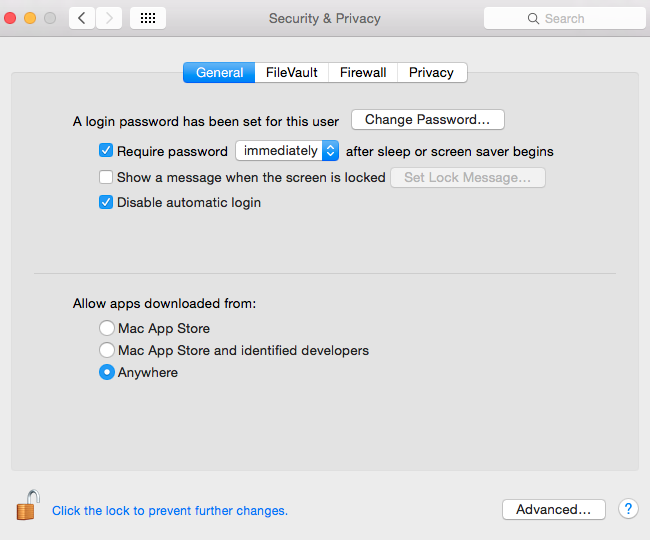 Note: You can change the security setting back to “Mac App Store and identified developers” or “Mac App Store” as desired, for improved security. Now you can download NoteBurner software from our Download Center.